We are thrilled to utilize and offer the very best in curl care to the Windsor, VT community! Where sulfate free and botanically infused haircare unite. Whether your hair is relentlessly curly, wavy, straight or chemically processed, Deva’s interchangeable product line has it’s own unique blend of botanicals that allow for individuality, simplicity and the freedom to address your hair’s specific needs. What is in the Deva system? The answer is what is NOT in the Deva system. We took the poo out of shampoo, the harsh and dehydrating detergent otherwise known as Sodium Lauryl Sulfate. We removed all unnecessary chemicals that often play on hair’s vulnerability and replaced them with the finest quality of cleansing and moisturizing botanicals that rejuvenate, restore and respect your hair’s natural order. 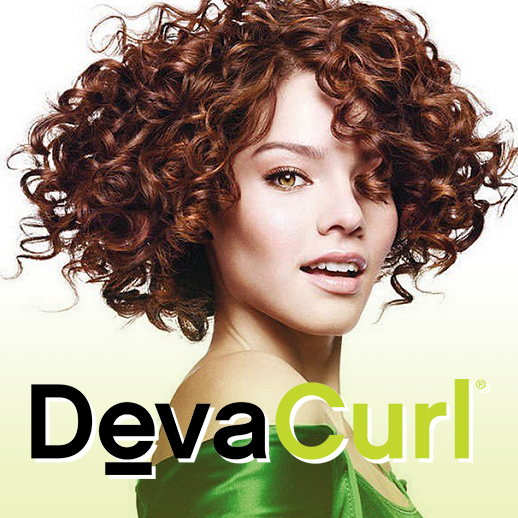 The beautifully healthy hair you deserve will be yours with DevaCurl, and DevaCare. With Deva, hair is not a trend… it’s a lifestyle!